If the Potenza 11 rear derailleur looks almost identical to that of the Super Record, it is because its design takes a great deal of inspiration from the recently launched Revolution 11+ drivetrains and guarantees a similar degree of shifting performance as a result. Changing only the materials used in its construction the Potenza 11 rear derailleur is capable of shifting with the precision and speed of the Super Record version with the only compromise coming in the form of weight. Thanks to sophisticated solutions such as Embrace technology, riders using Potenza 11 can count on highly efficient power transfer, secure grip, efficient chain/cassette interface and longer component life previously attributed only to the elite mechanical transmissions from Campagnolo. The Potenza 11 rear derailleur takes top-end performance and technology and takes its versatility one step further by adding a medium cage version capable of shifting flawlessly with an 11-32 cassette. There is now no mountain tall enough nor any climb too steep for Campagnolo. 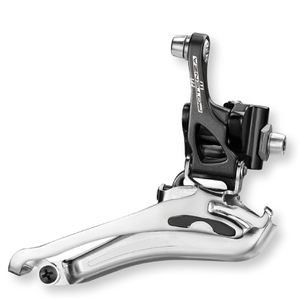 The Potenza 11 rear derailleur has the same shapes of the Super Record one in order to obtain similar shifting performances. 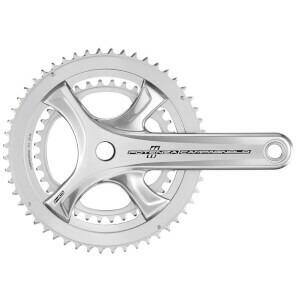 The Potenza 11 groupset will introduce the new 11-32 cassette. To use it with all chain-rings combination is necessary to have a medium cage (72,5 mm) instead of the standard one (55 mm). 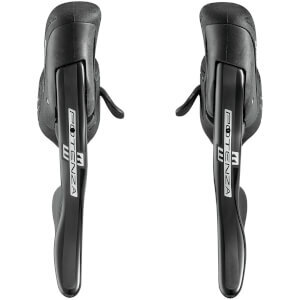 So two derailleurs will be available at the same price. Low weight with high stiffness and great resistance to impacts. Same system already used in Super Record derailleur. Perfect alignment of the derailleur cage. This new technology increases the number of sprocket teeth wrapped by the chain, allowing smooth, fast and prompt shifting. Studied for optimising the functionality of the rear derailleur while using extreme cassettes as 11-32. Better use of the material and increment in the return load of the spring. The new Potenza 11 group-set will introduce the new 11-32 sprocket. 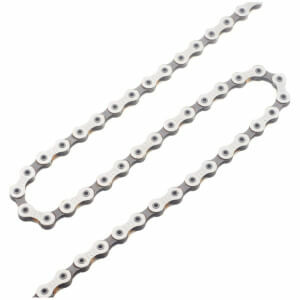 To use it with all chain-rings it’s necessary to have a medium cage (72,5 mm) instead of standard one (55 mm). So two derailleurs will be available. The Euruswheel is entirely hand-assembled by a specialised Campagnolo® technician and is checked in every tiny detail with electronic instrumentation. This ensures maximum performance and reliability for all Campagnolo® wheels. 11-speed Medium cage, bought specifically to work with an 11-32 cassette / 50-34 Chain Ring set up. Replacing an 'Athena' level rear mech. Works perfectly well with the other transmission parts of the Athena group set. Fits in well at this level.